Premium sponsors of the VELUX EHF Champions League, bet-at-home.com, are offering handball fans the unique chance to win 100.000$ with just one shot at the VELUX EHF FINAL4. For the first time ever at any handball event, six lucky fans will get the chance to take the ‘100.000$ SHOT’ and each walk away with a cool 100,000$ in cash. 40.000 handball fans will descend on the LANXESS arena in Cologne on 26 and 27 May 2012 as Europe’s four best men’s teams compete for the prestigious title. The biggest club handball event in the world and the biggest cash fan-prize in handball. To take part, fans simply need to visit the bet-at-home.com promotion stand on Saturday or Sunday before 17.00 hrs and register their interest. The only condition is that fans have to be over 18 years of age. Shortly before both the second semi-final on Sunday and the final on Sunday, three lucky people will be drawn, who each have the chance to take the shot and win. They will take a shot on goal using the official match ball of the VELUX EHF Champions League and each person, who manages the throw the ball through a handball-sized hole from the 9 metre line will walk away with the cash. bet-at-home.com Holding ltd is part of the French BetClic Everest Group, a European leader in online gambling and sports betting. At www.bet-at-home.com, the company offers sports betting, casino, games and poker at www.bet-at-home.com. 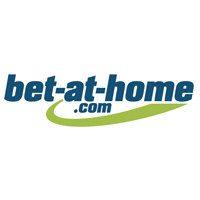 Bet-at-home.com is, with 2.8 million registered users, one of the most popular betting providers on the continent.